The term “heirloom” generally refers to a family treasure that has been handed down from generation to generation. Its worth is often measured by sentimentality and age rather than financial value. 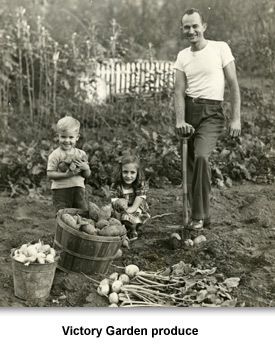 Heirloom plants, likewise, are plants from seeds that have been saved from year to year and handed down, generally at least fifty years, but often implying plants grown before World War II. Following World War II there was a great increase in hybrid plants which contributed to a dramatic rise in agricultural output during the last half of the 20th century. Heirloom seeds are open-pollinated which means they are pollinated by insects or by the wind rather than by human intervention. The seeds from heirloom plants will produce flowers or fruit that is like the parent plant. Hybrid plants, on the other hand, are pollinated by plant breeders intentionally crossing two different varieties in the attempt to get the best traits of each plant. Desirable traits include such things as disease resistance, large fruits, high yields, uniform size (for ease in packing for market) and uniform color (for consumer appeal). Hybrid fruits and vegetables have made it possible to extend the season because in addition to uniform size for packing, they are also often bred to be resistant to bruising and are able to travel farther to markets. Fruits and vegetables that were not available in the winter or in the north are now common year round. Some plants, such as tomatoes grown for the canned market, are bred to ripen all at the same time to save on the cost of continual harvesting. 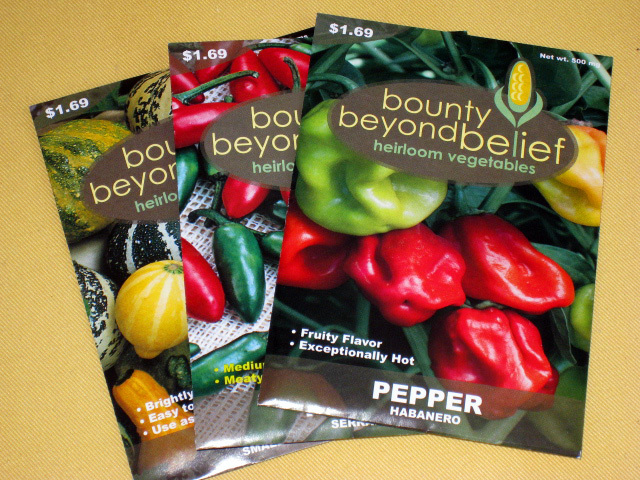 Even beyond the commercial market, hybrid seeds have become common in the home garden. Hybrid seeds are more reliable, attractive and disease resistant making it easier for backyard gardeners to succeed. The down side of hybrid plants is that the gardener must purchase seeds every year. Seeds saved from hybrid plants will not produce true to the parent plant. Furthermore, people claim that hybrid fruits lack the flavor of heirloom fruits, but that is personal opinion and hard to substantiate. Another term in this discussion is “cleistogame” which refers to plants that are self-pollinating as opposed to open pollinated plants. Plants in this category have flowers that have both male and female attributes and can be pollinated without insects, wind or human intervention. Tomatoes, peppers, legumes such as peas, beans and peanuts, citrus trees and flowers belonging to the rose and viola family are all self pollinating. This is a great advantage for plants grown in greenhouses. Tomatoes and peppers will set fruit even when the bees are hibernating. Which is better – heirloom or hybrid? There is no correct answer. It is completely a matter of taste, so to speak. Those who believe there is a difference and prefer the old-fashioned flavor and like to save their own seed will opt for heirloom plants. Others who prefer the appearance of hybrid fruit and flowers and don’t mind buying seed every year will choose the hybrid.